EJM Investigations are a North West based detective agency in Preston, Lancashire, with a team of private investigators and process servers across the UK. We can carry out private investigations, commercial investigations and process serving at home, throughout Europe and worldwide. 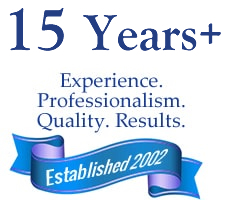 We have a wealth of knowledge and experience through our network of private detectives and professional process servers. We complete enquiries quickly, thoroughly and cost effectively using effective case management, tailored to our clients needs. EJM Investigations have access to specialists in all areas of private investigation and process serving including ex-police detectives, armed forces etc. We work efficiently, using a variety of methods including old-fashioned detective work and using modern, up-to-date databases. Our high standards have ensured we receive repeat instruction from a number of law firms, UK wide, to assist them with process serving, and we have also carry out process serving and surveillance for a number of local authorities. It is repeated instruction from these top end commercial clients that proves our pedigree in not only being able to complete a job effectively, but also to present our final reports in a professional manner and to a standard required by the courts. 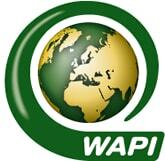 We tailor our prices and discuss all fees and costs up front to ensure your investigation is cost effective. We are able to operate to an hourly fee, or a fixed fee basis dependant on the instruction. Our fixed price Process Serving can work out to be extremely cost effective. It is also a favourite amongst solicitors, who's clients may want precise costings before going ahead and instructing us to serve any legal documents. Our private detectives will provide statements along with any video/photographed evidence, which will be time and date stamped. 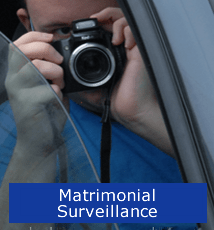 Any surveillance report will come with a complete log and photographs so that if no evidence is obtained the client has full peace of mind the enquiry has been completed. 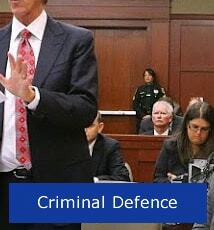 We are able to present our findings in a format suitable to present as evidence in court. 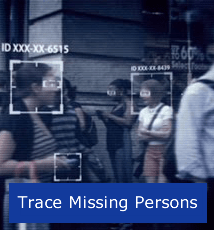 We will always have extensive discussions with our clients to ensure that surveillance is the most appropriate way to progress an investigation, and if we go ahead, to ensure it is done in the most cost effective way. Surveillance is a craft that requires more than one person to be fully effective, hence we always recommend you budget for 2 agents. Our private investigators will work alone, but the risk of compromise is much greater. All our private detectives are able to offer both mobile and static surveillance and we will discuss all requirements with you in advance. A process server is someone who delivers legal documents in a way that is required by the area of law the documents are concerned with. There are different rules depending on if the matter is criminal or civil, family or insolvency and so on. 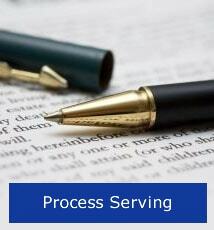 A good process server will be familiar with many types of documents and the ways in which they can be served. Some must be handed to the Respondent by the process server. In other cases the process server can post the papers through a letterbox, or stick them to a door, leave them at a reception desk or, as has been permitted in certain cases, send the papers via social media messaging. We are able to serve papers relating to a number of different areas of law. Insolvency, family matters and criminal summons’ are the most common, but by no means are they the only types of cases we work on. EJM Investigations private detective agency also has process servers who are able to assist with the service of documents from foreign courts. 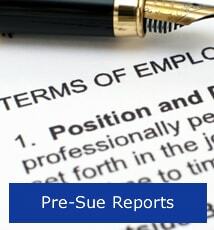 EJM Investigations' process servers are even able to successfully serve evasive respondents! Our private investigators will assist in re-working your case to find 'reasonable doubt'. Whether by finding new evidence or new witnesses. Our process servers are able to serve witness summons at short notice, even if you trial has begun. Whether it is fraudulent sick leave or moonlighting. 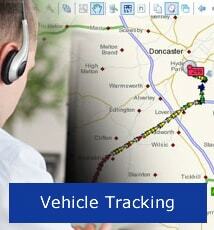 Our detectives will provide the evidence ensuring you are in the know. Our private detectives have the right experience to prove if an employee is claiming sick and working elsewhere, or just enjoying an easy life at his employers expense. We will gather evidence including pictures and video, and present the evidence in such a way that it will be admissible in any future tribunal hearing. Indeed, on many occasions our evidence is so strong, that the employee merely offers his resignation. 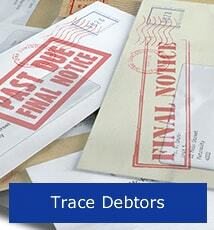 Often the most evasive of people, debtors can be the most difficult to find. Our highly trained detectives will endeavour to locate the subject quickly. Our process Servers can then serve the necessary legal papers to allow your money claim to progress quickly and efficiently. We offer a basic no trace-no fee service, but where a debtor is particularly evasive we use the experience of our private investigators to trace the debtor by good old fashioned legwork. Not a job for a private detective or process server. Whilst many firms will arrive at your address with a box of flashing lights, we use a professional engineer to ensure total peace of mind for our clients. Our debugging expert is not an investigator.. He is a counter surveillance technical engineer. He specialises in debugging whether that be in a modest terraced house, or a city centre high rise office block. He will use that latest state of the art equipment to guarantee we find any of the latest bugging equipment. With the high speed development of technology, it is imperative you use the best when it comes to debugging your premises. Our investigators will ensure we leave no stone unturned when it comes to you knowing prospective client/employee is exactly as they say they are. We can ensure there are no skeletons in the closet of your latest recruit, which could be damaging to your business or reputation. We will ensure that a potential employees CV is correct and up to date, especially useful in job positions where there is a high chance a rival firm may “plant” someone to commit espionage. 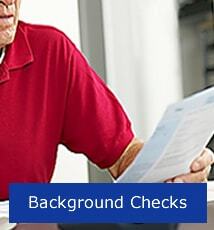 This service can also be useful should you wish to check the background of a potential partner. This list is not exhaustive. Due to the varying nature of private investigations and process serving we have put together a team of private detectives and process servers with a wide range of investigative skills. Call us in confidence to discuss your needs. If we don’t have the answer, we know where to find it. WARNING: As at 2017 the private investigation industry is unregulated. Many agents offer a cheap, substandard service. The costs of their private investigation and process serving services are less as many are uninsured, not registered with data protection, pay no tax, these will insist on a personal cheque or cash payment as they will have no business bank account. 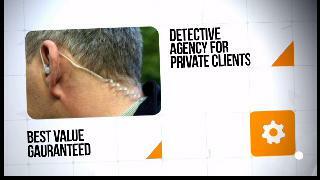 At EJM Investigations all private detectives and process servers are individually data protection registered. All private investigations are carried out within the law, ethically and morally and where necessary in a format presentable in court. EJM Investigations will accept cash when a client prefers this but we also have full business banking facilities to process cheque and BACS payments. All clients will be given a receipt for any work carried out. We are registered with the Information Commissioners Office as per statutory requirements, ensuring your personal information is safe with us. Although there is no licensing for private investigators in the UK, EJM Investigations adheres to the private detective best practise guide as published by the SIA. The home office have recently announced that private detectives and process servers will have to be licensed from October 2014, however this still hasn’t been implemented, much to our dismay. EJM Investigations is rated 5 out of 5 based on 15 Reviews.